This afternoon, the Nebraska Legislature failed to pass LB 599, which would have lowered the minimum wage for high school student employees. In addition, LB 268, bill to repeal the death penalty, advances to the second round to face one more vote. 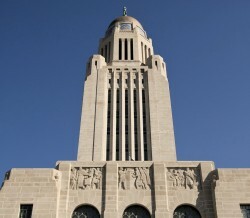 Another great step forward for Nebraska!